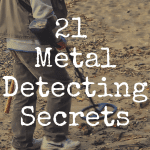 When you are just beginning to get into the metal detecting hobby, it can be hard to know what detector would be best for your hunting habits. You will want one that has everything you need to have fun and one that won’t bust your wallet. For under $300, here are five metal detectors we recommend that we think will do a great job at a reasonable price. 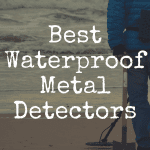 This is one of the most popular metal detectors available for beginners. It has a price of a little over $200 and is very well-made. 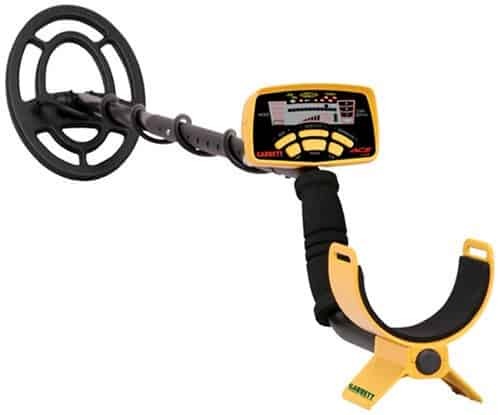 It is user friendly and even people who have never used a metal detector before are learning the hobby quickly with this unit. One of the best features of the Garrett Ace 250 is the ability to customize your settings and it will save those settings, even when you turn the detector off. 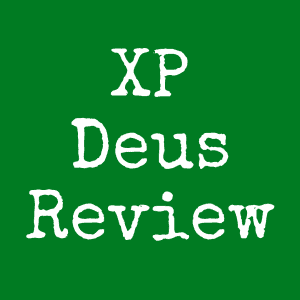 You can also choose for it to find either coins or relics so you can look for and find exactly what you want. However, this model does not have a numeric target ID and if you are only searching for a certain type of coin, this can be disappointing. It only has a category ID that is fine if you’re just excited to find anything. Another feature of this detector is the bell tone when you scan over a coin. It will send a tone for every coin, but unless you use your depth meter, you won’t know whether it is an inch deep or several inches. You will have to use this detector slower than some other models, but it’s a great starter detector. 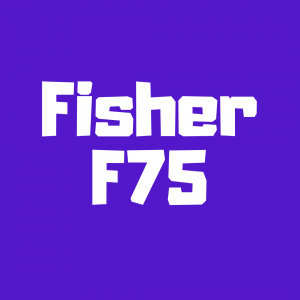 The Fisher F2 is very well constructed and the control panel has a nice quality. It has huge, soft buttons that are easy to use and see so even beginners won’t have a hard timing learning to use this model. Another great feature is that it has awesome target separation. If you are using a detector in an area with a lot of trash, this can really help you to know whether you have found one object or several close together. Being able to see how many objects are present to be unearthed is a wonderful asset, especially if you are looking for coins or jewelry. One of the most popular features of this model is its “notching” ability. You can choose to “notch in” an item to be sure to find it or “notch out” items (such as pop can pull tabs) so you won’t hear a tone when you scan over them. This model does not have an all metal mode. 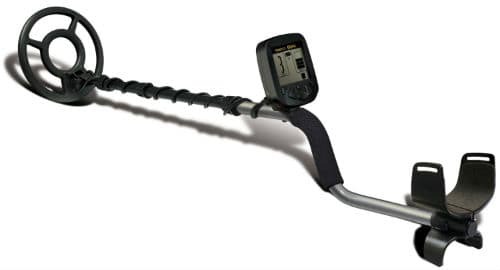 For a price of about $215, you can grab this metal detector that comes with a pin pointer and an extra coil. The Fisher F2 is truly one of the best value metal detectors you can purchase. The Bounty Hunter Discovery 300 is very reasonably priced and has some great features, but many hobbyists seem to outgrow this model quickly. It is great for beginners, but once you know what you need, you may find this model doesn’t have everything that you want. 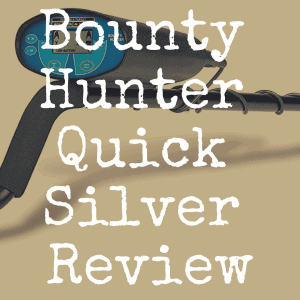 At a price of about $225, it is built better than some of the other Bounty Hunters, and it does have one feature that no other beginner detector has and that is the ability to adjust ground balance. It also offers a three digit numeric target ID instead of just the usual two digits. For some reason, many people want to purchase a Bounty Hunter model as their first detector. If you do feel this way, be sure to get the Discovery 3300 model and not one of the cheaper versions. It can be a great detector for those who just want a cheap model to keep in the trunk for quick scans as you are out and about. This is another very popular metal detector with a price of about $200, which includes a headlamp, trowel and carrying bag. It is the beginner model of this company, but many very experienced hunters still carry this one. One of the main reasons is it is very light-weight and has a huge LCD display. The screen is also easy to see and use. The Alpha 2000 does not have numeric target ID, though, so if you really want this, you will need to check other models. Many detectors from Teknetics had a problem with being too vulnerable to electromagnetic interference, such as power lines or cell phones. However, this problem has been fixed by the manufacturer. If you happen to get one that is still having problems, the company is an American company and they have always been great to help their customers with any problems with their products. One drawback to the Alpha 2000 is that is does not have an all metal mode. It does, however, have the “notching” capability that so many people desire. For some reason, many people won’t even consider this metal detector. It is probably because it looks more like a toy than the picture of a detector they have in their minds. However, at a cost of just over $150, this is a wonderful metal detector. It doesn’t have all the bells and whistles of other detectors, but it does have a clear response when you scan over something and it’s great at discriminating trash from the good stuff you are looking for. The construction quality is amazing and it actually feels sturdier than some of the more expensive models. One drawback is the coil is permanently attached, so whatever you choose will be the size you have until you buy a new model. With the price so low, though, you can replace this whole machine for about the cost of a coil for another model. It doesn’t have a lot of features to stop working and cause you frustration and it comes with a lifetime warranty. 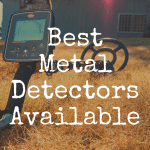 There are many wonderful metal detectors on the market for under $300 that will offer you everything you need in a detector. Before you begin your search, decide what features you absolutely have to have and make sure any models you look at have those features. Talk to experienced hunters or check out a hunter’s forum to get advice from the people who love this hobby. They will be happy to share information with newbies and to chat with other hunters about the features they want from their machines. Hopefully you found this article helpful. If so, please “like” our brand new Discover Detecting Facebook page! 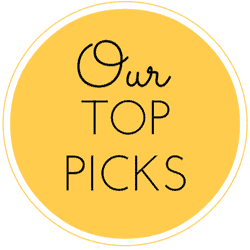 Bookmark the Discover Detecting homepage to stay up to date on news and reviews.